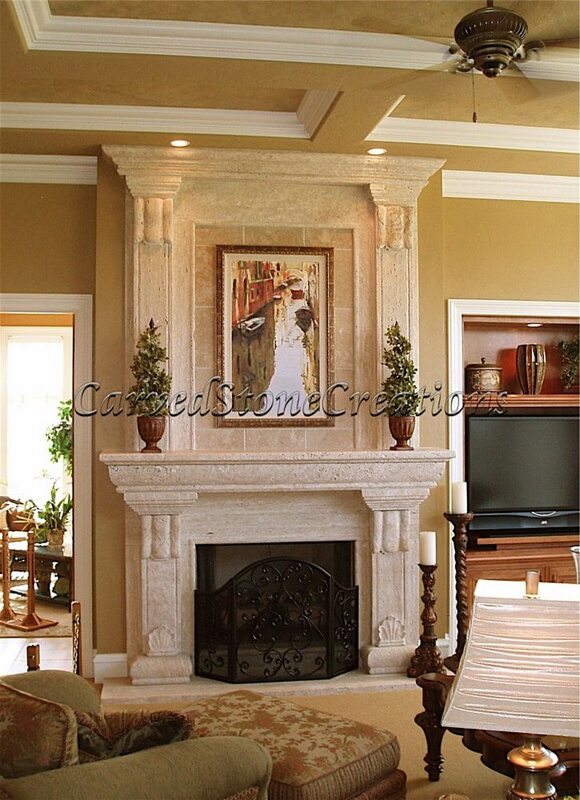 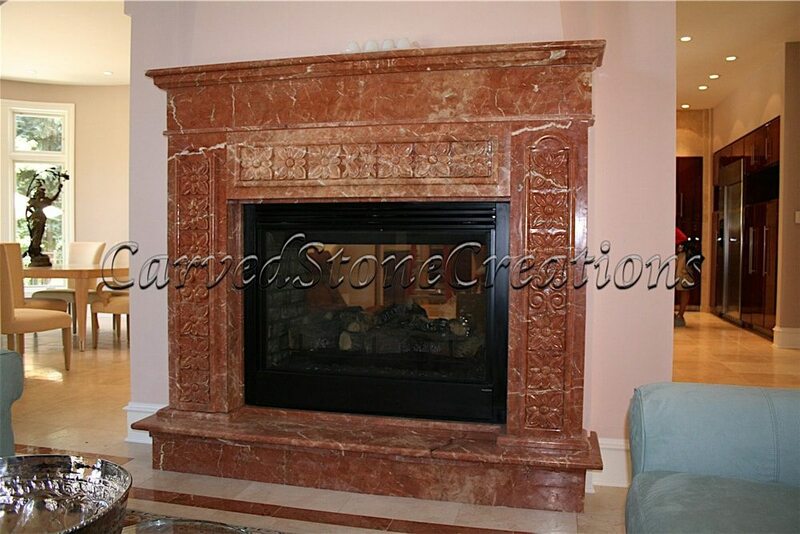 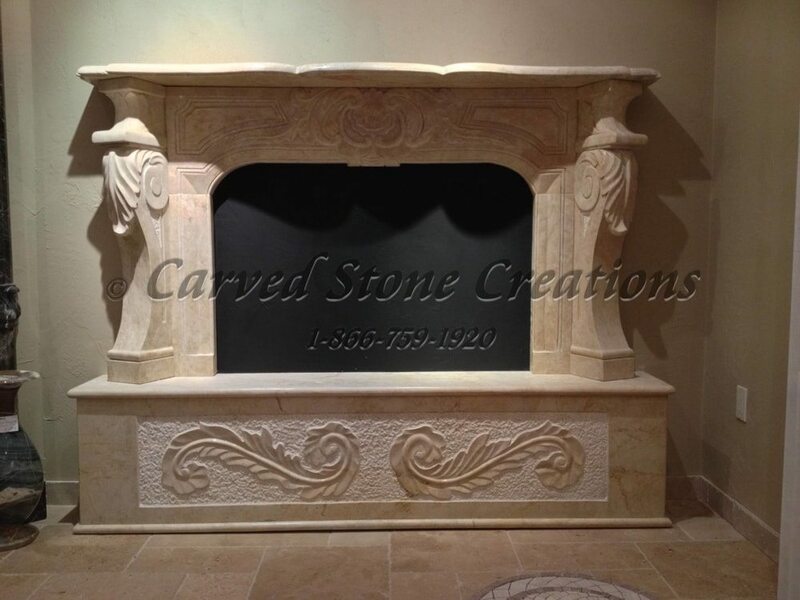 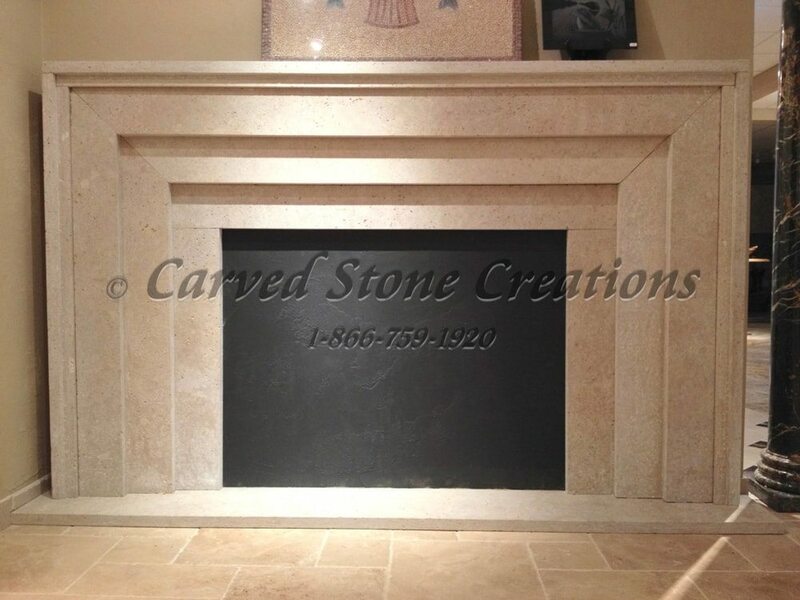 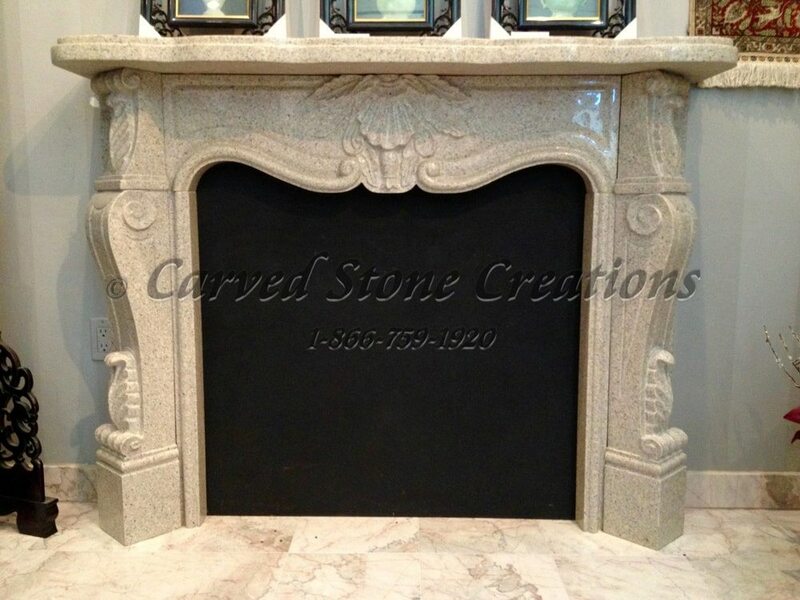 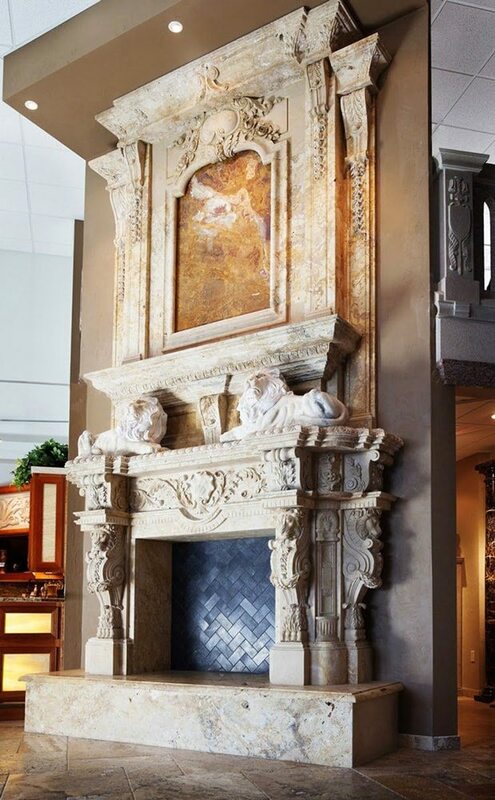 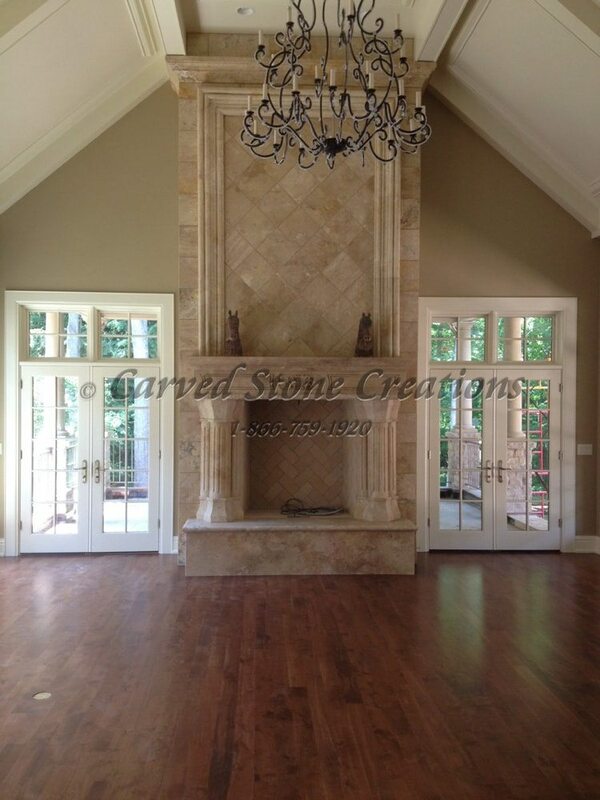 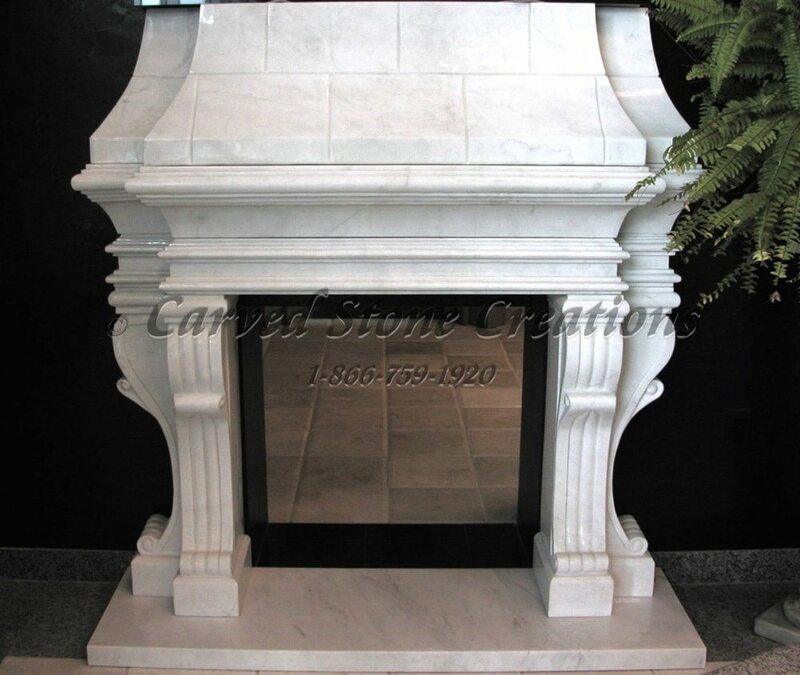 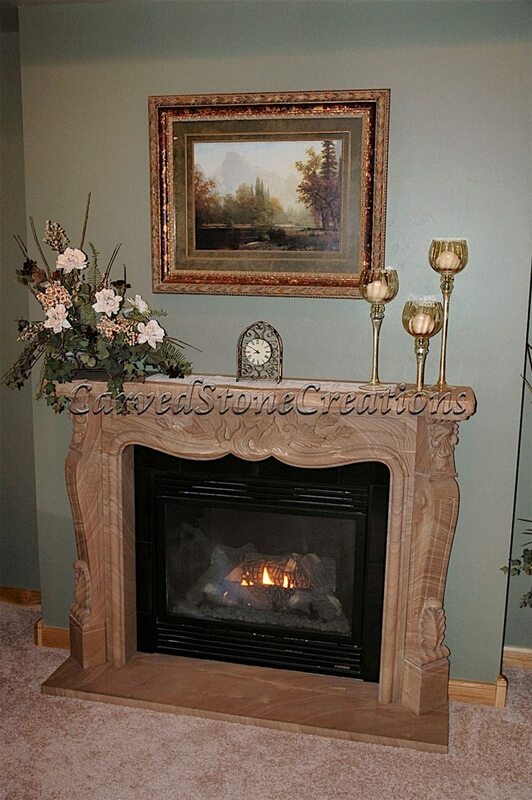 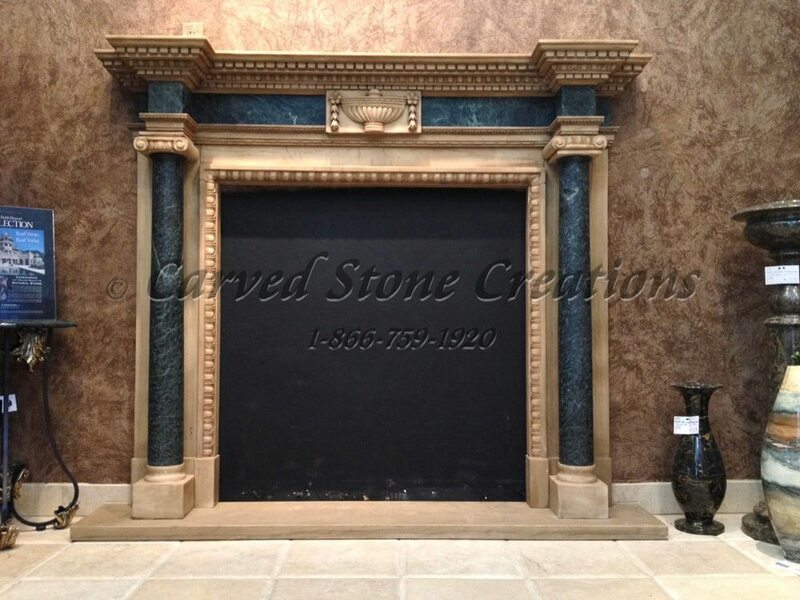 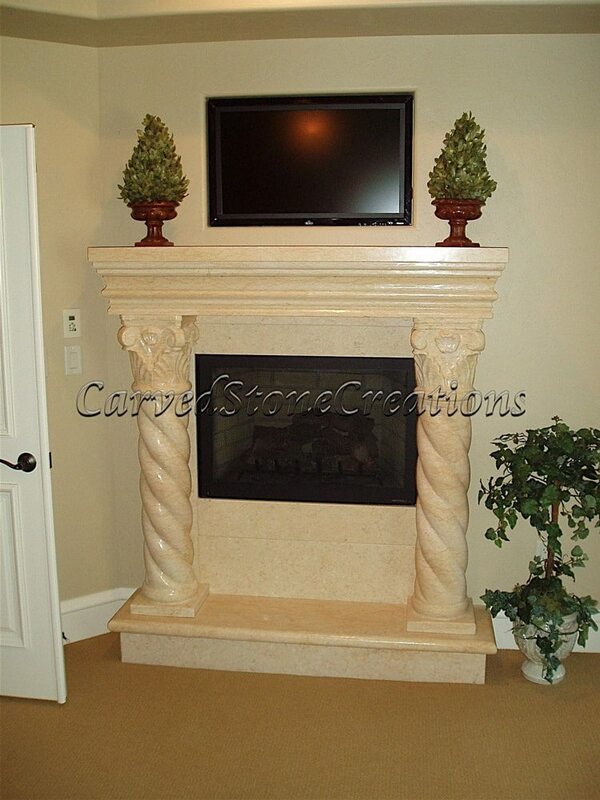 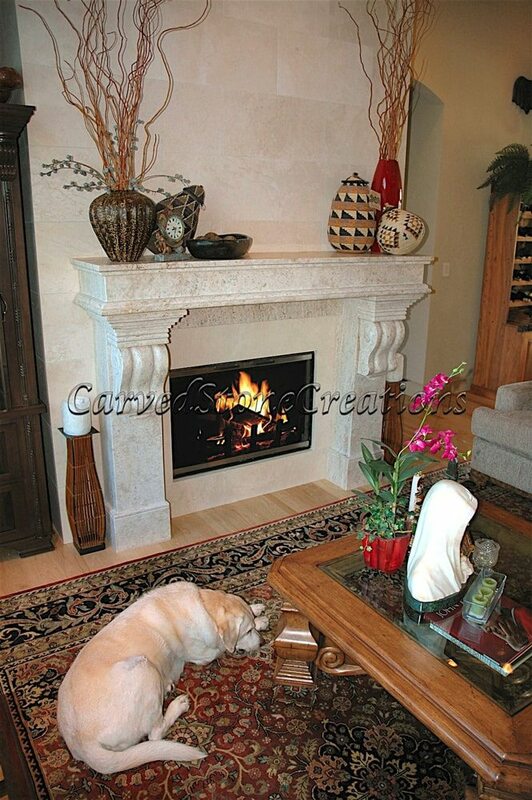 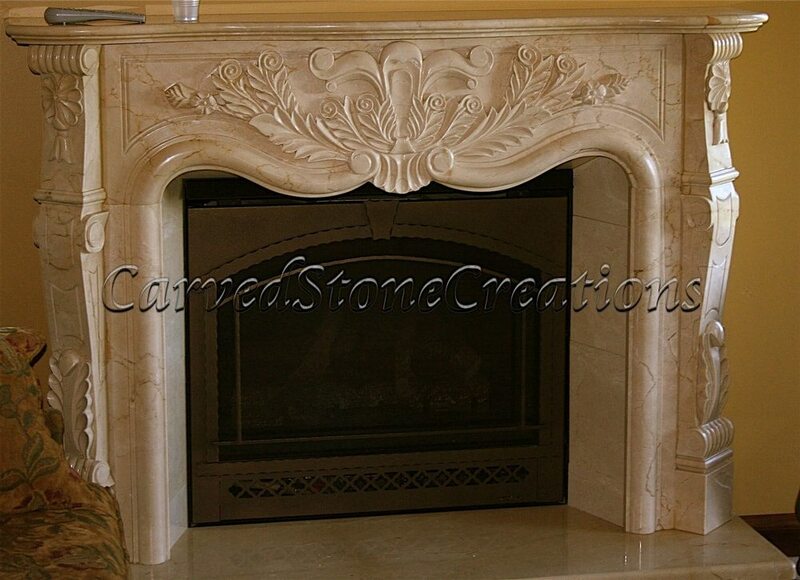 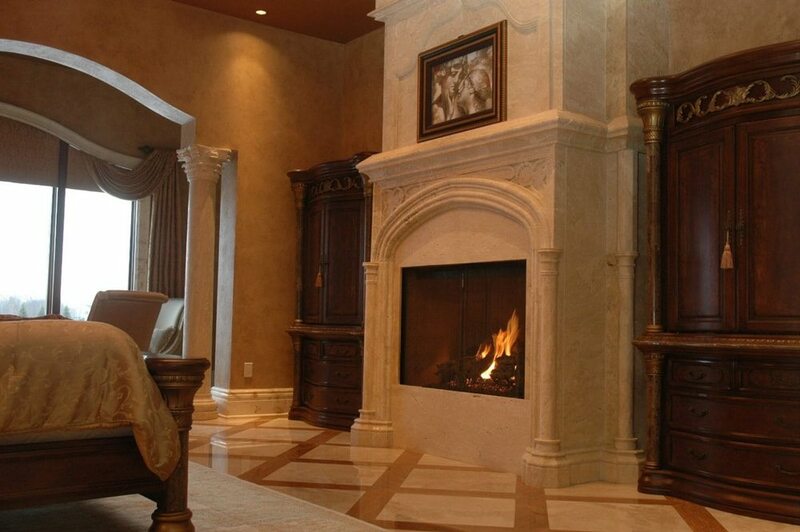 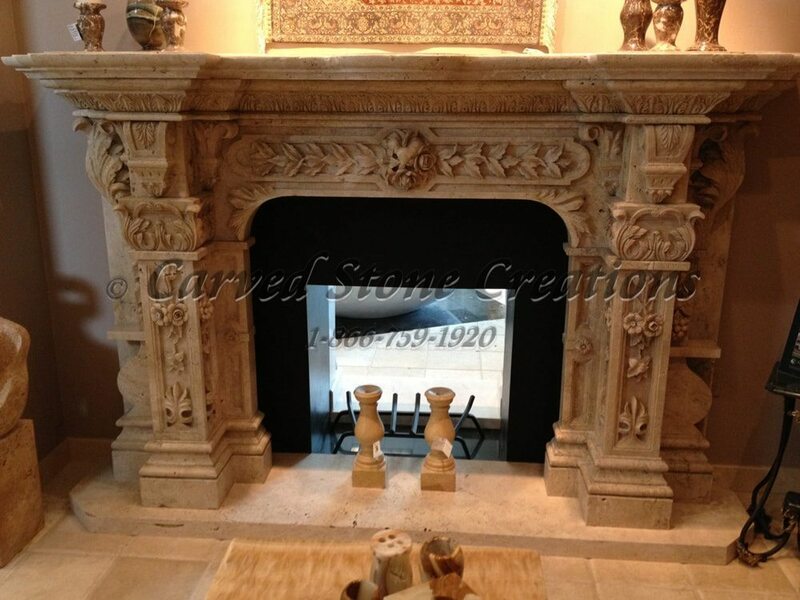 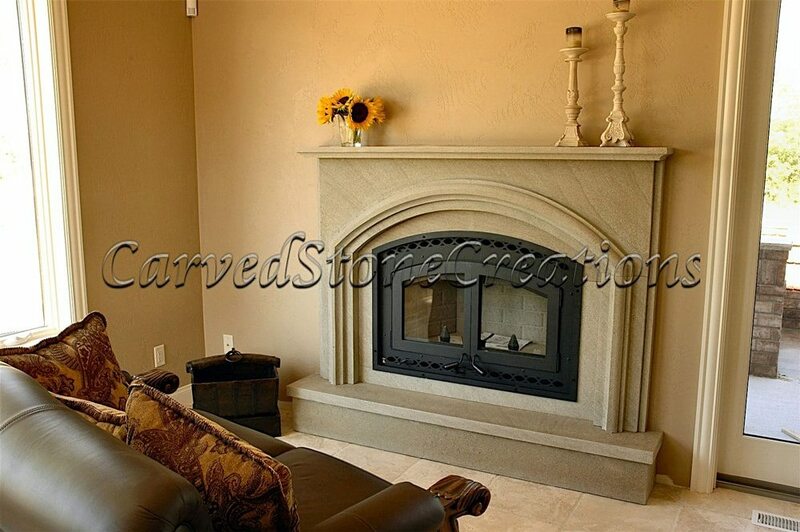 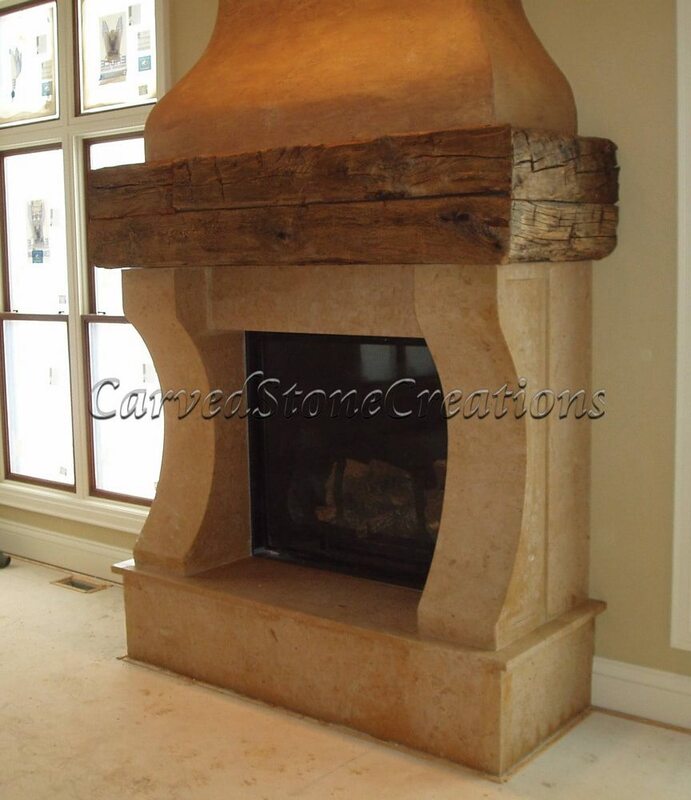 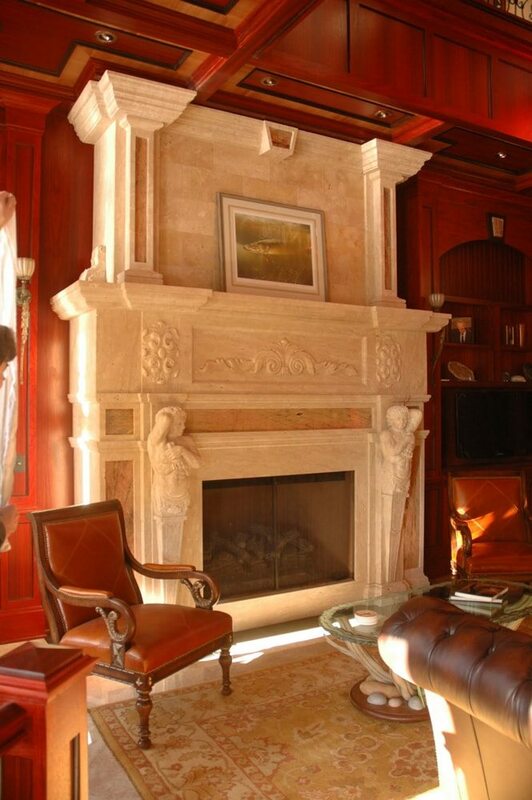 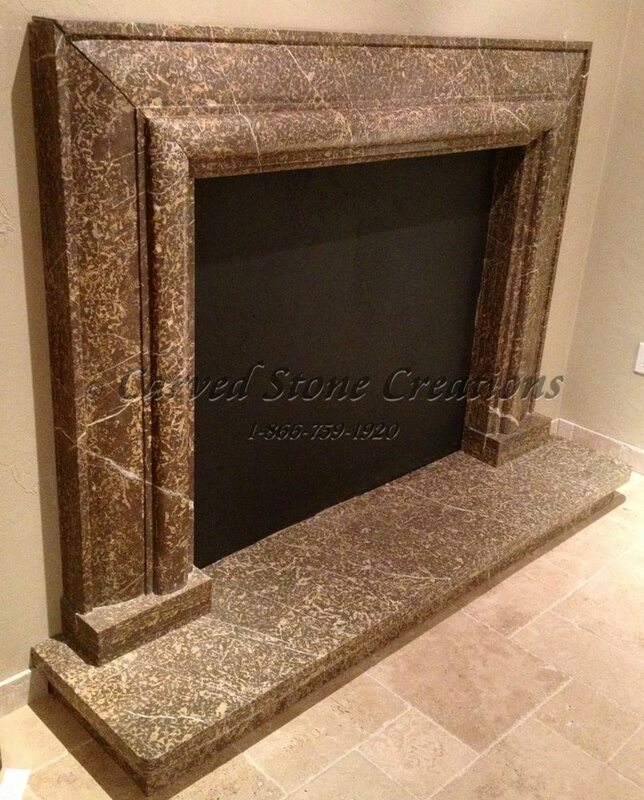 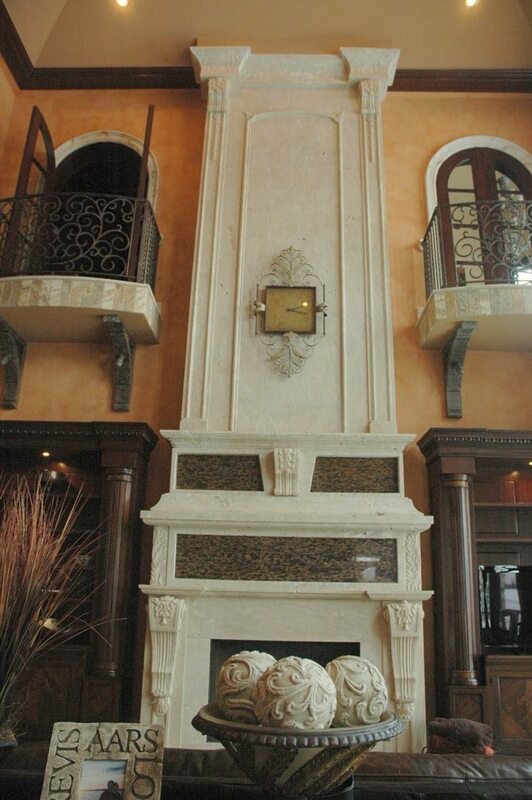 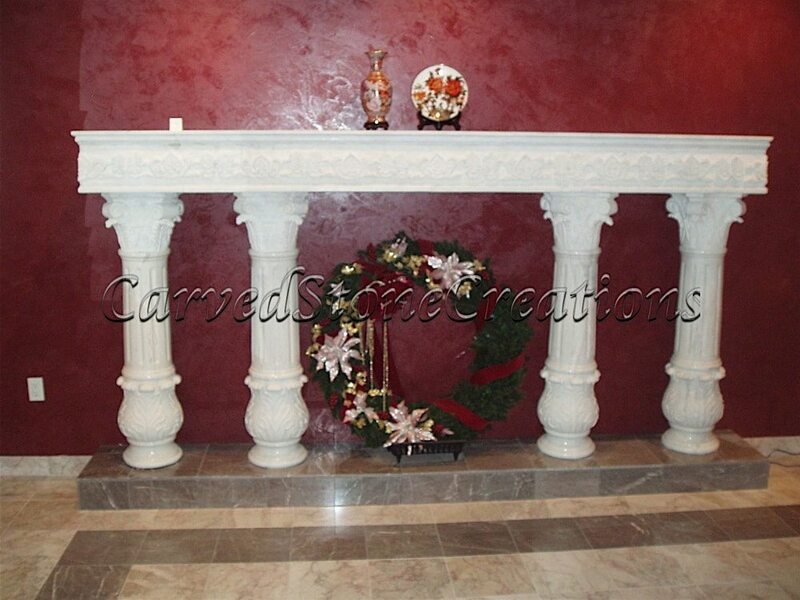 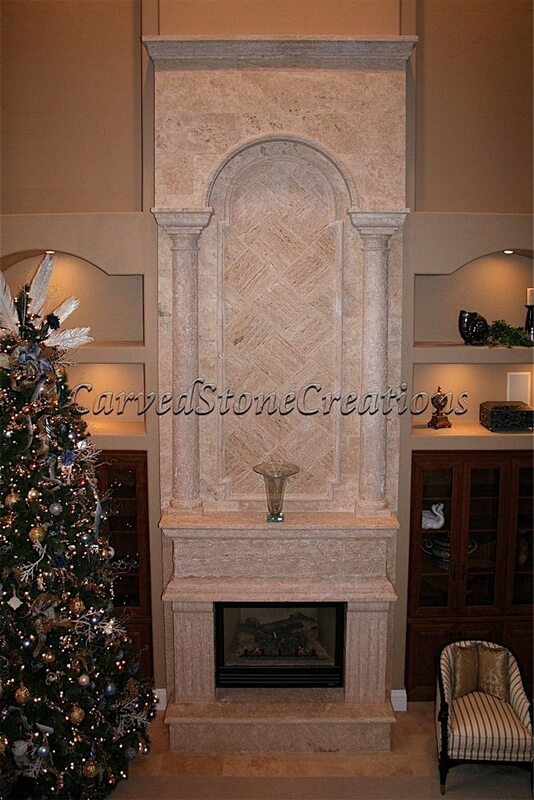 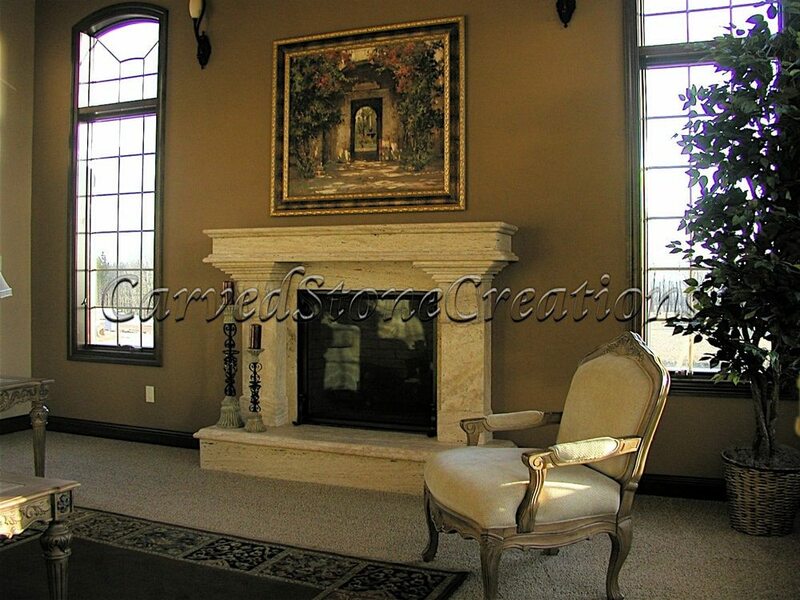 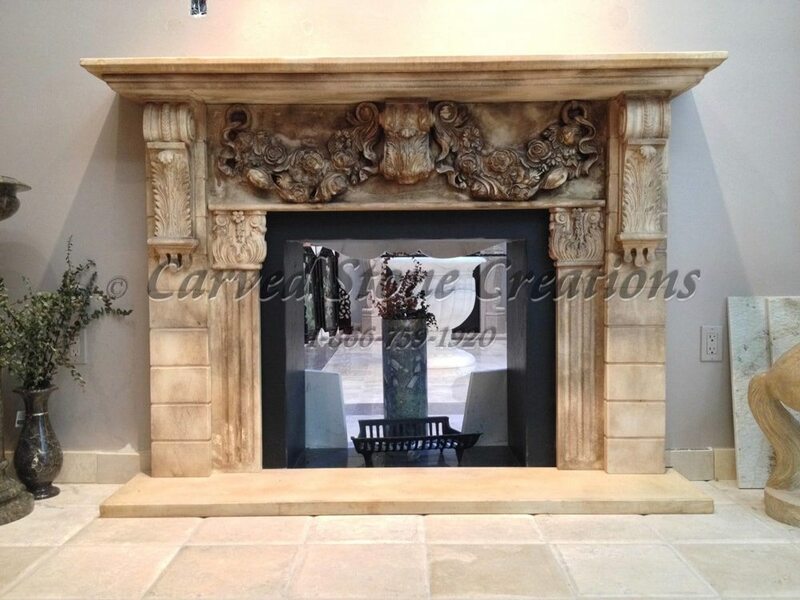 Large decorative carved stone fireplace over-mantel surround with marble inlay. 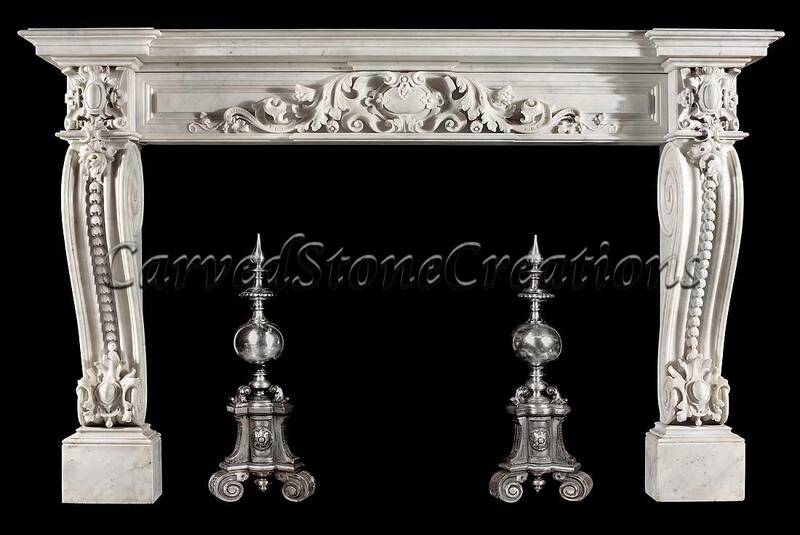 Carved marble French country fireplace mantel. 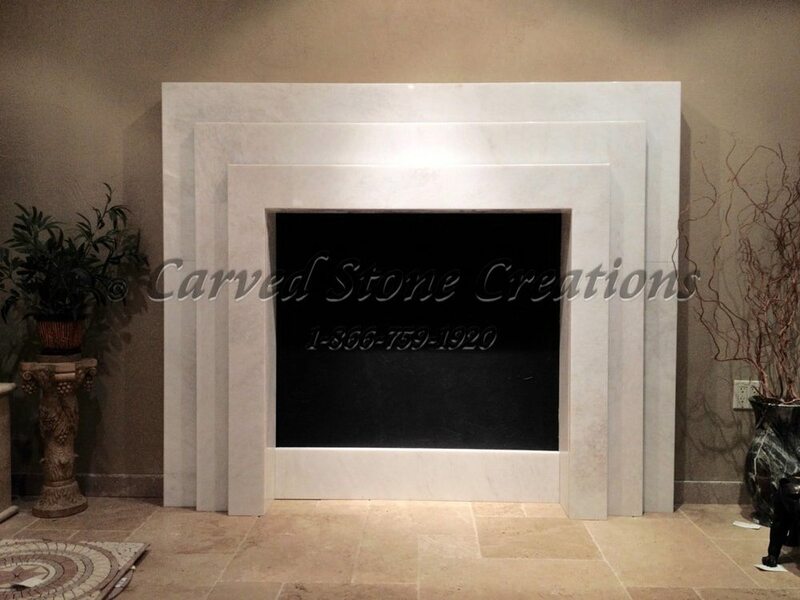 Custom fireplace surround. 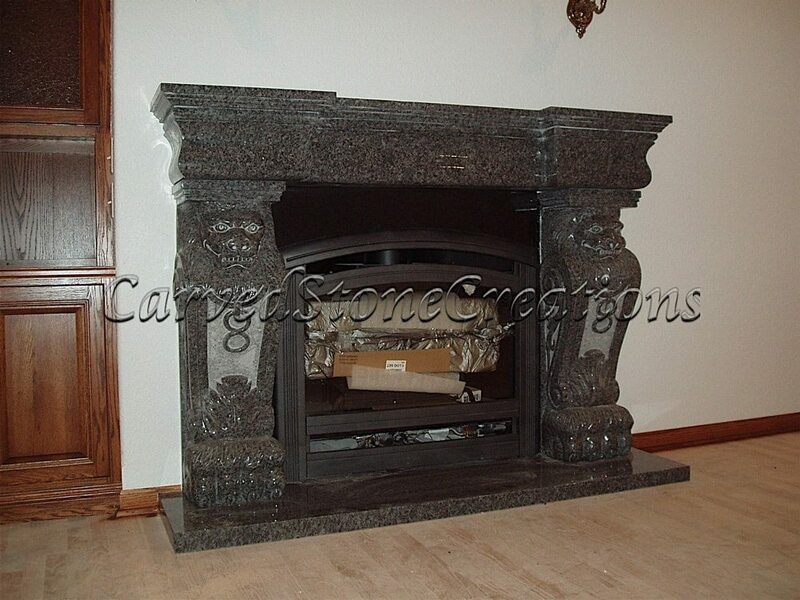 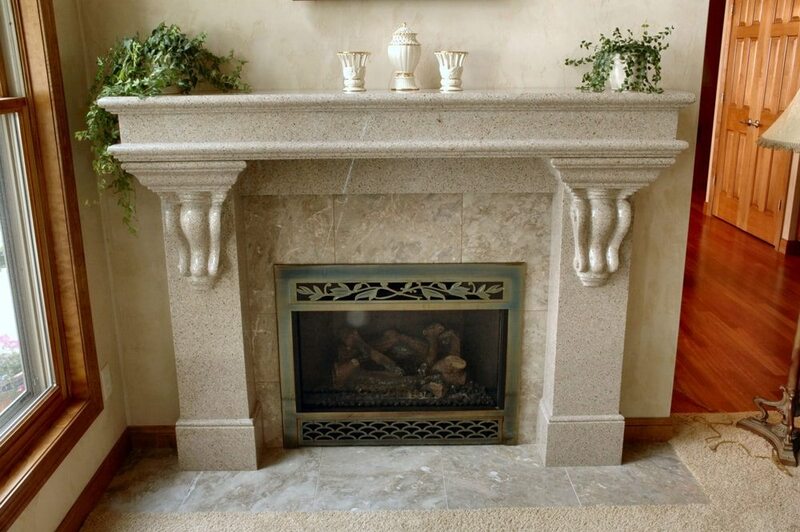 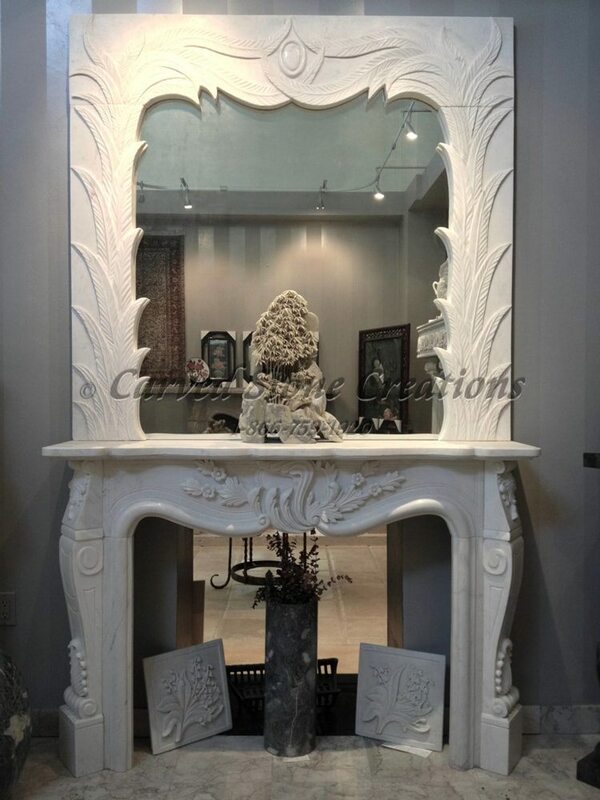 Carved polished granite French country fireplace mantel. 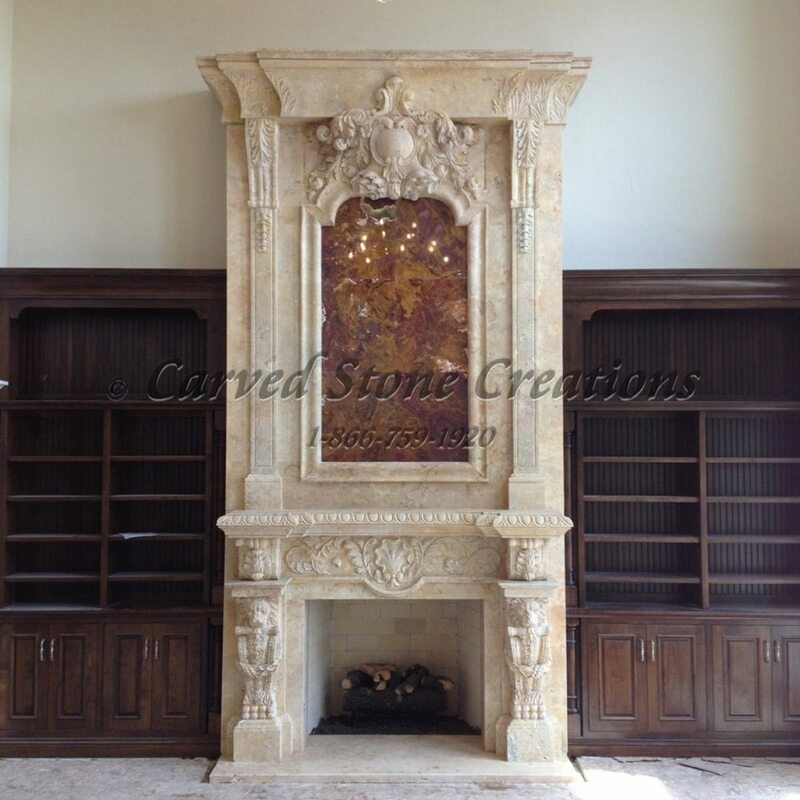 Custom fireplace surround. 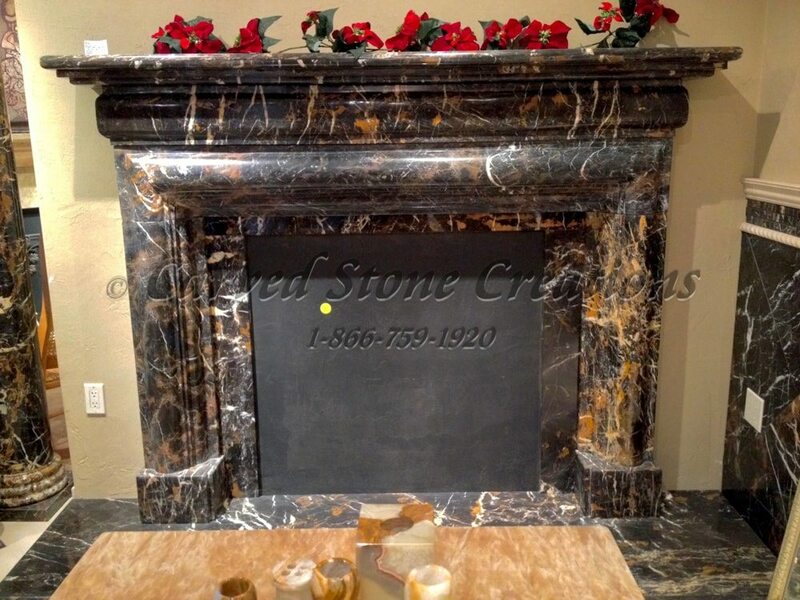 Antique marble fireplace mantel surround. 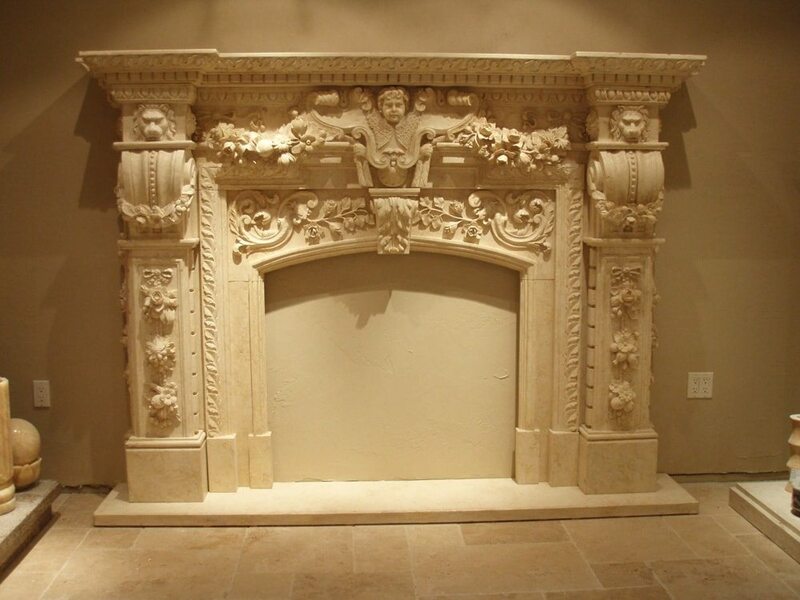 Carved sandstone French country fireplace mantel. 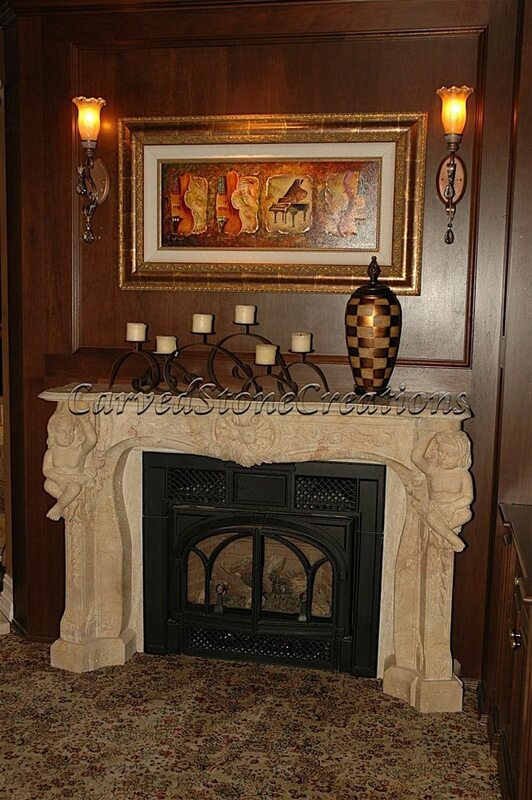 Custom fireplace surround. 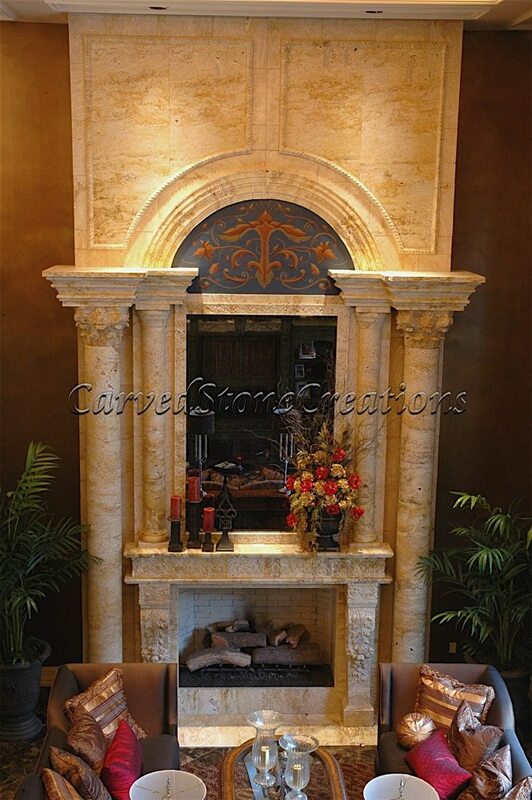 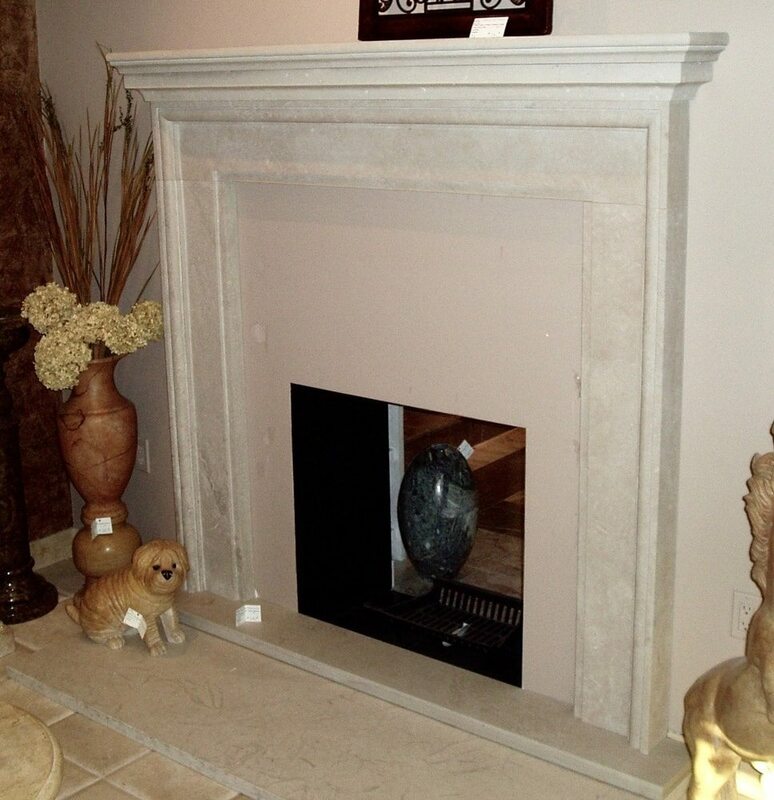 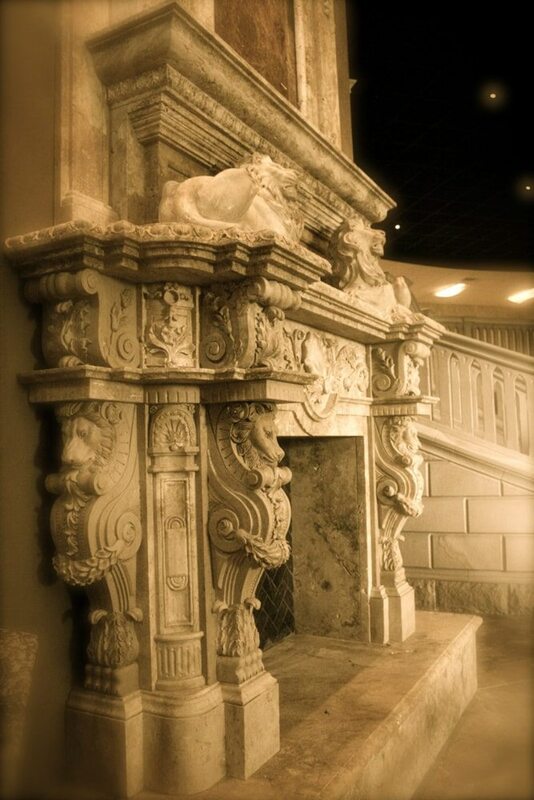 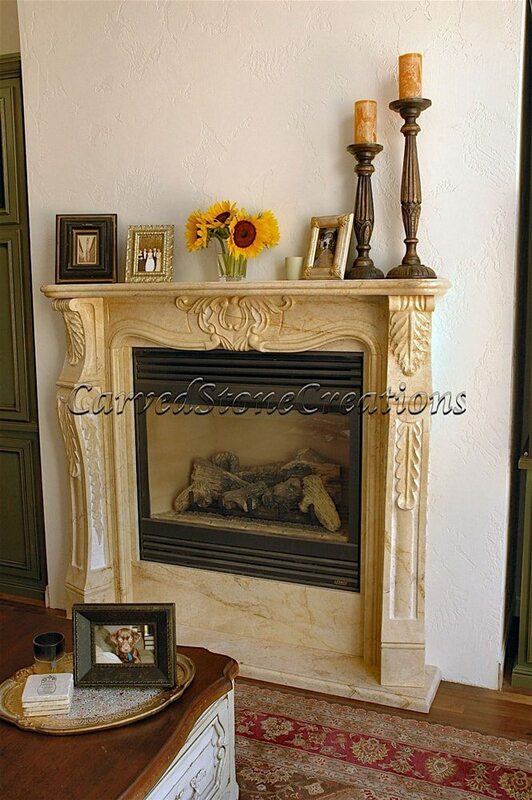 Decorative carved stone fireplace over-mantel surround with lions. 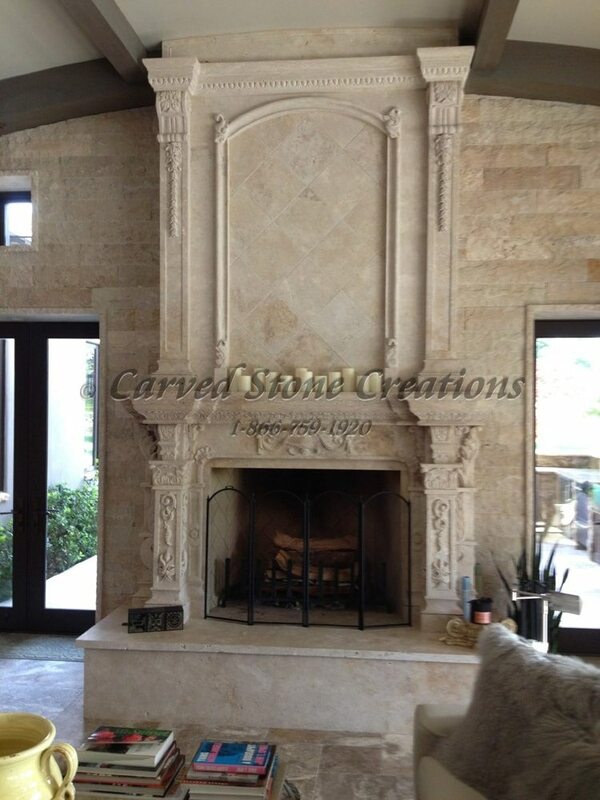 Travertine with onyx inlay. 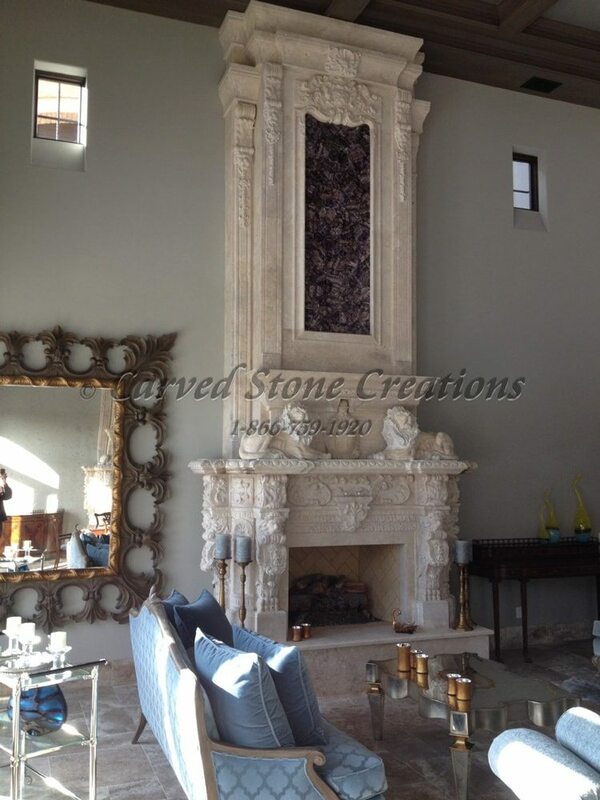 Large decorative carved stone fireplace over-mantel surround with lions. 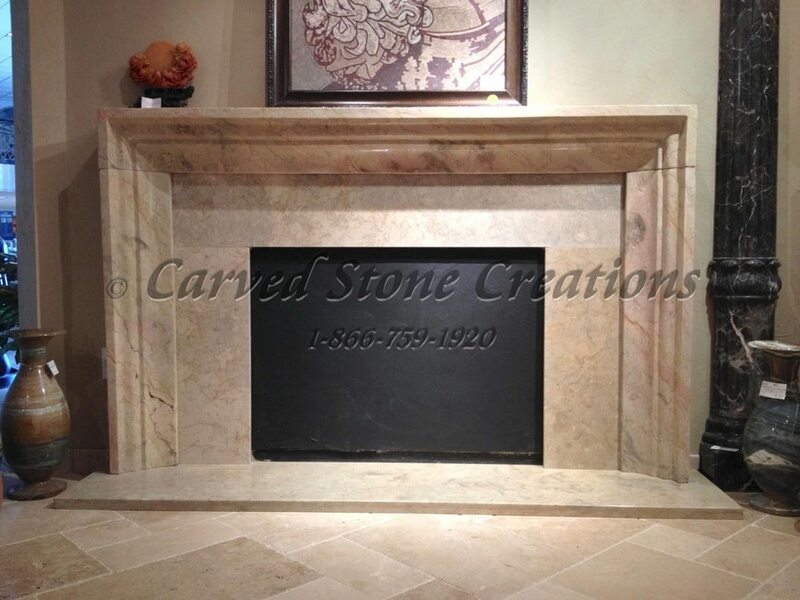 Light travertine with amethyst gemstone inlay.